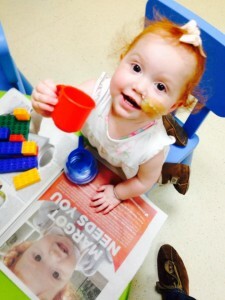 Others like Margot desperately need your help. There are over 37,000 people worldwide and 1,800 in the UK alone who are urgently seeking a stem cell match. Your one time registration could make all the difference. 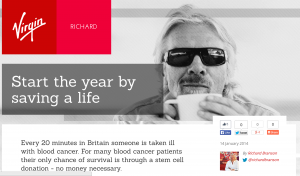 So wrote Richard Branson on his blog this time last year, having been inspired by Margot after hearing about her appeal. Or as we know from Margot’s experience, at the very least you can gift someone more time with their family and loved ones. A precious gift. Please register as a potential stem cell donor. You can do so easily & quickly online or come along to a donor registration event – the next Team Margot donor registration event is on Saturday 17 January 2015 at Coleridge Primary School, 77 Crouch End Hill, London N8 8DN from 10am – 4pm. If you’re ineligible, or have already registered ? Then please encourage Just One More to do the same. Thank you to Delete Blood Cancer UK for all your ongoing help and for supporting these events.